Tehilla St Clair, chopped to death. THERE are women in this country who are looking for love and romance. And in their search, some of these women have fallen victims to the hands of predator on social media and other dating websites. Psychiatrist Dr Varma Deyalsingh said that in many situations these men who hide behind fake profiles turn out to be abusers and in other cases murderers. 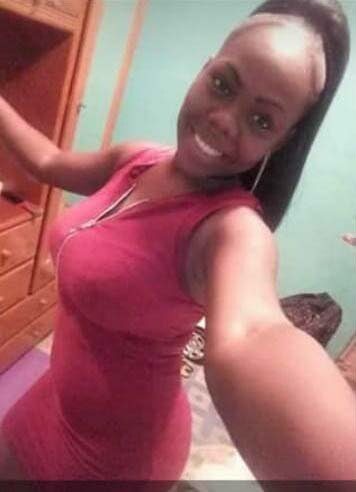 In the most recent example, Tehilla St Clair, 27, was chopped to death by the hands of a 32-year-old man whom she met on Facebook. After the two exchanged numbers on Facebook, St Clair found out the man whom she had an interest in was serving time in prison. After his release from prison she and the man started a relationship which lasted six months. On Monday night St Clair was killed by the man who also chopped her five-year-old son. Speaking to Newsday yesterday Deyalsingh who is also secretary of the Association of Psychiatrists of Trinidad and Tobago (APTT) said online dating is new avenue apart from the traditional way of meeting someone. He said many men were now creating fake profiles and luring women. He said that some women believe that they can change these men but that is not the case. Reply to "Women searching for love online…Psychiatrist: Beware men creating fake profiles"